This book will help readers recognize and remember commonly used note patterns and sequences in fiddle tunes and string band music, to make creations easier. 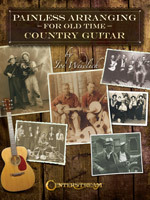 Author Joe Weidlich analyzes four traditional favorites - including "The Wreck of the Old '97" - showing how guitarists can substitute notes and patterns, painlessly! 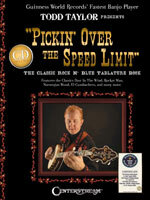 Learn to play 30 popular pedal steel licks on the guitar. All examples are played three times on the accompanying CD. 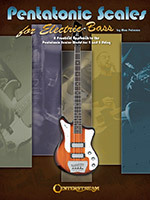 Also features tips for the best steel guitar sound reproduction, and steel guitar voiced chords. Pentatonic scales are widely used in all styles of music. 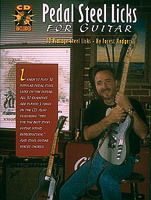 This book focuses on the most often used, including ethnic and exotic scales. For each, this book presents the structure and construction, the main chords with which the scale works well, and a list of relevant scales. Development over one and two octaves follows, with fingerings and tab for 4- and 5- string basses. Centerstream Publishing is proud to present Todd Taylor�s incredible arrangements in notes & banjo tab of classics including: Dust in the Wind; El Cumbachero; Freebird; How Great Thou Art; I Can�t Stop Loving You; Norwegian Wood; Rocket Man; Wayfaring Stranger, Yakety Sax; and more, plus some of Todd�s terrific originals. The book includes a bonus CD of Todd�s masterful playing on six searing tracks. An absolute must for all banjo players. This handy, easy-to-use book aims to explain precisely what is required to play this instrument well. Topics covered include: holding, posture, mouth position, movement, breath control, articulation, phrasing, tone manipulation, vibrato, trills and turns, projection, chords and intervals, interpretation, and much more. For chromatic players, but diatonic harmonica players will learn just as much.